There has been leak in the network of photos, presenting the new Samsung phone model, which show that the new J1 model will be available in three colors variations: black, white and gold. The phone will have a casing made of a plastic material and styling of the phone will not be too much different from the rest of the models from manufacturer, so we are dealing with the classic look of Galaxy models. 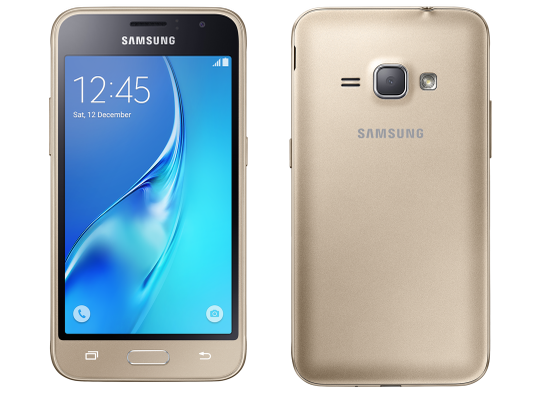 This year's model differs from the old version in details and from previous leaks turns out that the Samsung Galaxy J1 2016 will be equipped with a 4.5-inch display with a resolution of 480x800 pixels. Inside of the device there will be featured Exynos 3475 processor, aided by a gigabyte of RAM memory and Mali T-720 graphics. The phone will have Android 5.1.1 operating system and will appear probably at the Mobile World Congress.